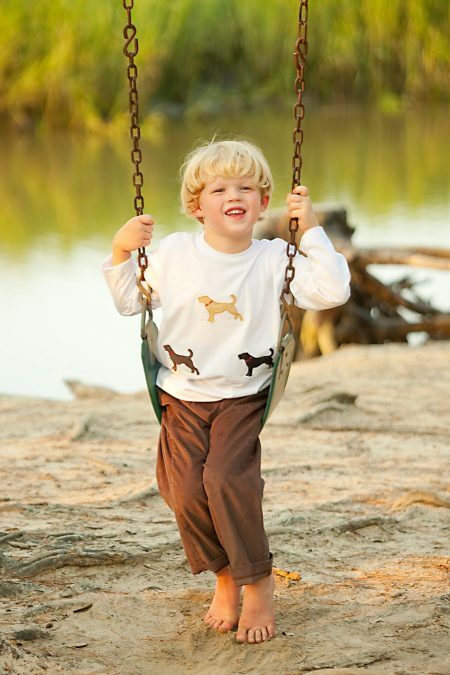 We believe this will be a children’s clothing season favorite! 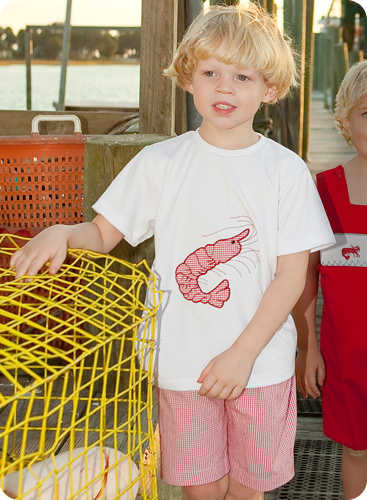 Our attention to detail is sure to shine through on this children’s clothing design! 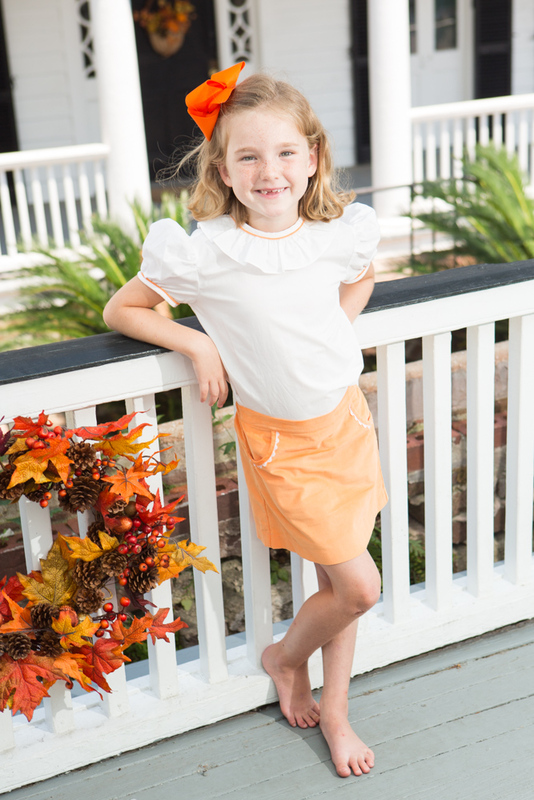 Ruffle collar shirt with orange piping accenting the collar and sleeves paired with our orange corduroy skirt which is highlighted with white ric rac. 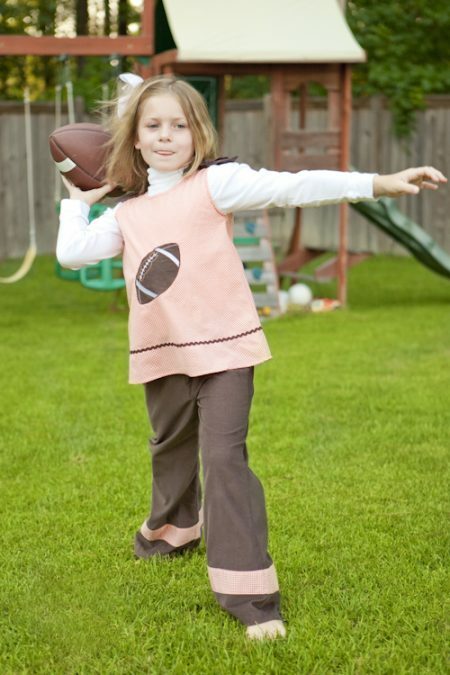 Perfect for fall football season, Go Tigers, Go Vols! Matching outfits available to coordinate the perfect occasion!